CAMERON, John Gerald - Peacefully at Lakeridge Health in Oshawa on Tuesday, April 2nd, 2019. John (Jack), in his 84th year. Beloved husband of the recently passed Millie (August 2018). Loving remembered by siblings Brian Terry and his wife Rosalinde; Sylvia Tino; Doug Terry and his late wife Loraine; the late Marie Button and her late husband Ken; and their families. Will be dearly missed by his niece Karen Larmer/Morin and husband Wilfrid. Peacefully passed away at Lakeridge Health Bowmanville on Friday April 5, 2019, at the age of 87. Passed away peacefully with family by his side at the Lakeridge Health – Oshawa on Friday, April 5th, 2019 in his 77th year. Beloved husband and friend of Nancy for 52 years. Loving father of Alec (Lisa), Matthew (Jennifer) and Paul (Shannon). Cherished Papa of Ryan, Ashlyn, Kai, Kieran, Liam, Charlotte, Briar and Declan. 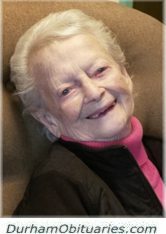 SPRENTZEL, Margareth - Passed peacefully on April 5th, 2019 at Lakeridge Health - Oshawa in her 94th year. Margareth beloved wife of the late Alfred. Loving mother of Philip (Fran). 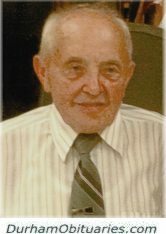 NORRIS, Albert James 'Jim' - Passed away peacefully surrounded by his loving family at Lakeridge Health Oshawa on Thursday April 4th, 2019 at the age of 97 years. Jim, predeceased by his loving wife Kathleen. Loving father of Christopher (Gladys), Patrick (the late Margaret), Martin (Sandra), Gillian (Alfie), Jane, Andrew, and predeceased by his daughter Sally. Predeceased by his sister Stella (Vic). GLIBBERY, Edwin (Ed) Gordon - (August 28, 1929 - April 4, 2019) - Now home with his Lord and Saviour, Jesus Christ. Beloved son of the late Albert and Janet, predeceased by his siblings Ab, Larry and Marie (Doug), loved and missed by his sisters Joyce, Audrey, and brother Harvey and wife Lois. CROSIER, Gail Patricia (nee Cushing) - Passed away peacefully in her sleep on April 4, 2019 in her 70th year, at Bowmanville Hospital. Loving wife of Edward for almost 50 years. Beloved mother of Edward Joseph (Allison) and Cindy. CHAISSON, Edward Eugene - Passed away suddenly at his residence on Thursday April 4th, 2019 at the age of 51 years. Eddie, predeceased by his parents Marie “Mern” and Edgar. 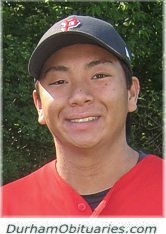 TAMEMOTO, Jake - Suddenly at Lakeridge Health Ajax on Thursday April 4, 2019 at the age of 18. Beloved son of Gary and Pearl. Loving brother of Courtney (Calen). Will be lovingly remembered by his Grandparents Yukio and Yurkio, George and Lana, Aunts and Uncles Carol, Robert (Karen), cousins Emma, and Hanna. Jake will be sadly missed by his girlfriend Rebecca, his teammates, friends, and extended family. Passed away peacefully at Lakeridge Health, Oshawa at the age of 90. Beloved husband of Rose for 68 years. VISSER, Neeltjie Adriana “Nel” (nee: Stork) - Peacefully passed away on Wednesday, April 3rd, 2019 in her 95th year. Beloved wife of the late HilbrandVisser and Oma of the late Amanda Visser. 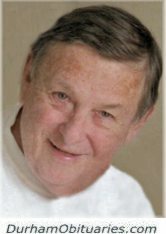 BALWINCZAK, Jan “John” - Peacefully passed away on April 3rd, 2019 at his home surrounded by family. He leaves behind his wife, Adela and children Zenon (predeceased), Roman(Carrie) and Anne (Paul). Beloved grandfather to Anthony, Andrea, Stephanie, Alex and Nicole. 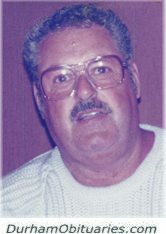 Cherished brother to Cathy and Maria (predeceased). He will be missed by his many nieces and nephews. Peacefully passed away on Wednesday, April 3, 2019 at the age of 98. Loving mother to Joan (George Hester), Douglas Carrington (the late Elizabeth) and Michael Rame. Cherished grandmother to Ronald, Susan, Michael, and Tracy and proud great grandmother to 15. 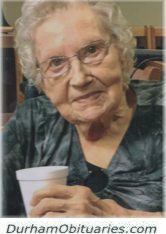 THIELE, Gwendolyn Elizabeth - Peacefully passed away on Wednesday, April 3rd, 2019 at the age of 89. Beloved wife of the late Edward Thiele. Loving mother to Randy (Jayne), Rick (Deb), Rob (Nelly), and Sandra (Keith). Cherished grandmother to Jennifer, Sherri, Tara, Ricky, Robbie, Derek, Christopher, and Gwyndon. Proud great grandmother to Stewart, Julia, and Logan. Dear sister to Jon Berlinghoff (Sandy). 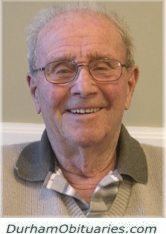 HARRISON, Winifred - Passed away on April 3, 2019 at Ajax Pickering Hospital at the age of 89. Beloved wife of the late Peter Harrison (2010). She will be missed by her children Peter and Susan Dobson, grandchildren Jocelyn, Rebecca, Luke, and Billy. On Wednesday April 3, 2019, following a lengthy illness, Helen left in faith to take a closer walk with her Lord. A native of Kingston, Helen attended University of Toronto, and went on to attain CGA and CPA designations. She was employed as the director of corporate finance for Warner Bros. Canada. Passed away peacefully surrounded by family and loved ones on April 3, 2019. Donna had a lengthy battle with cancer following a full and rewarding life. Devoted and loving mother to Jodie, Danny, Cindy (and best ever son-in-law Tom Maguire), Jennifer and Grandma to Ryan (Rafa). 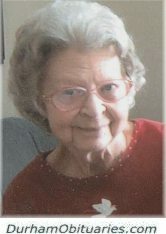 CHILDRESS, Eleanor (nee Hanaka) - Eleanor Childress passed away peacefully on Wednesday, April 3rd, 2019 at Lakeridge Health Oshawa in her 93rd year. Dear mother of John Childress (Gail) and Nancy Kortekaas (Bert); devoted Grandmother of Robert Kortekaas and Katherine Kortekaas and adoring Great-Grandmother of Chelsey Milton. LANGDON, Winnie - (1946 - 2019) - On April 3rd, 2019. Winnie, loving and devoted wife of the late David. Loving Mother of David and his wife Janice, and Corey and his wife Donna.